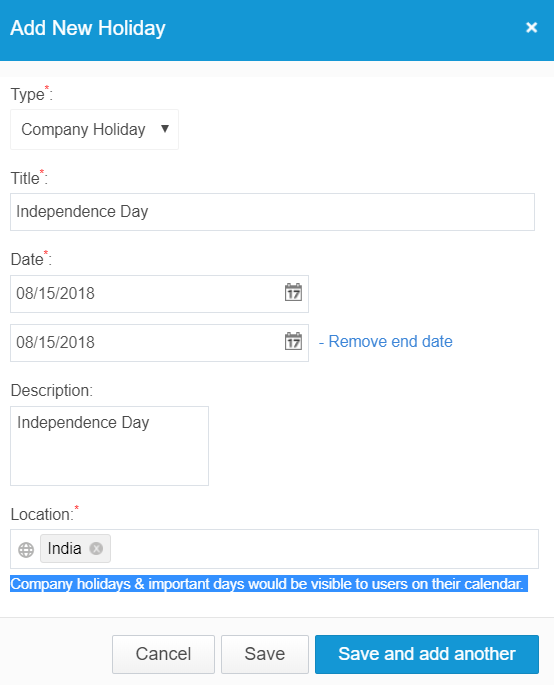 How to Create Holiday/important Events in Mangoapps? 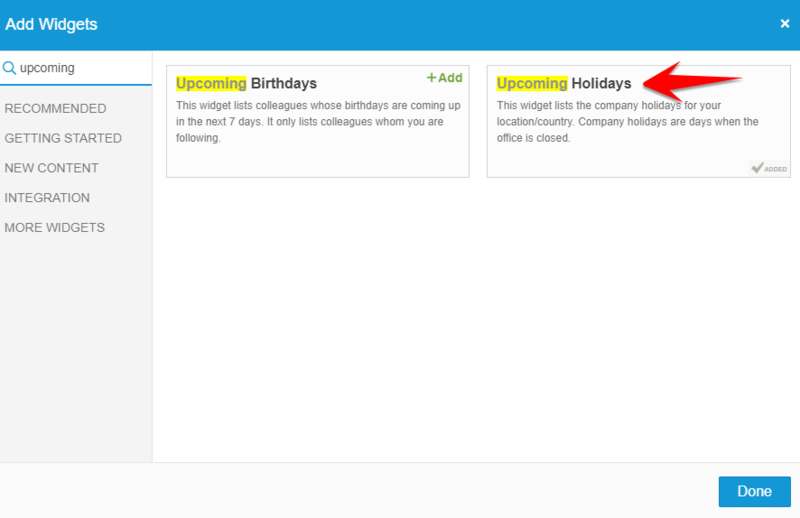 /Calendar & Events /Manage Modules & Settings /How to Create Holiday/important Events in Mangoapps? 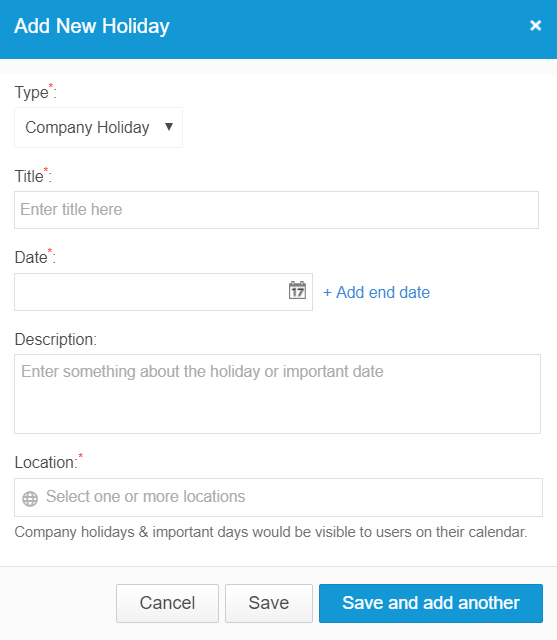 The company may want to share company holidays and certain important Dates(company events) to all the network users of the portal. This can be achieved from the admin portal. 7. 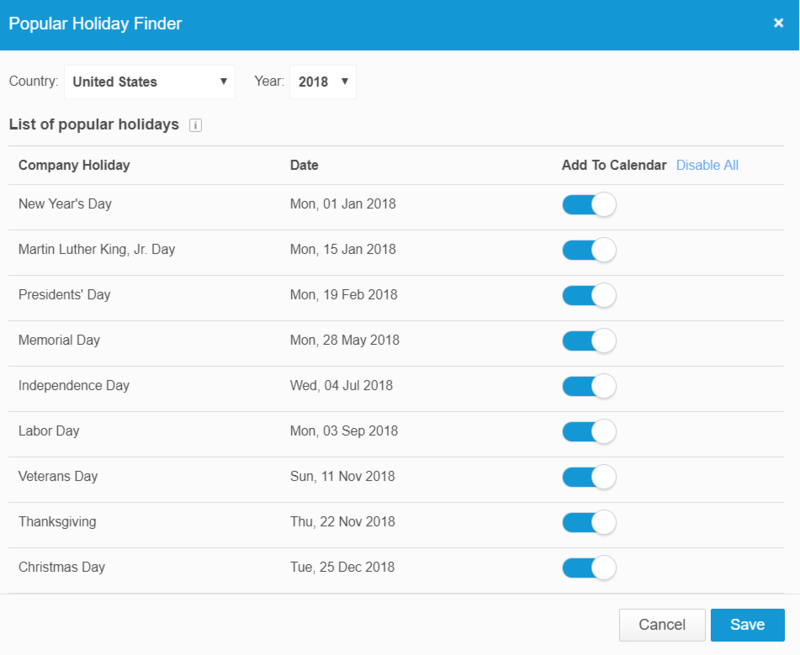 To make it easier to add holidays there is a new popular holiday finder in which you select the country and year to get a list of popular holidays. You can then pick the holidays that are applicable for your company and add them to everyone’s calendar. 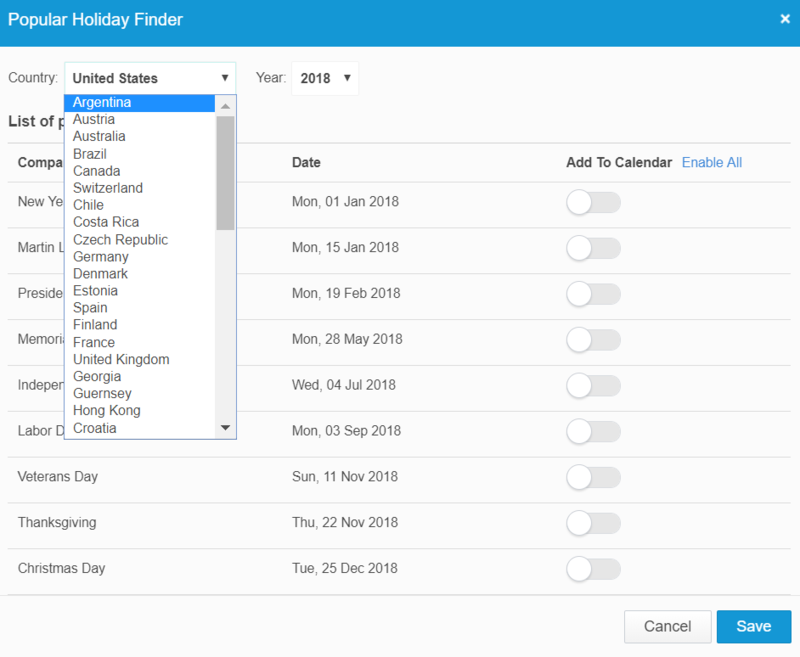 There are about 50+ countries that the popular holiday finder currently supports. How is a Company Event Different from a Team Event in Mangoapps? How Can a Mangoapps Admin Configure Calendar Setting from the Admin Portal? How Can Mangoapps Admin Export All Users and User Profile Information? How Can Mangoapps Team Admin Configure Custom Fields at Team Level? How to Create Recurring Events in Mangoapps? How Can Admin Change Start Date of the Week in Mangoapps?